Promotional Logo Apple Shape Chrome Metal Key Holders are available in Blue, Green, Pink and Silver colors. These custom metal keychains are made up of Zinc Alloy and are having a total size of 1 1/2 “x 4 ". Health clinics, doctors and even grocery stores can make these custom keychains in the shape of an Apple for promoting their brand. The 1" x 3/4" imprint area makes sure that your brand logo gets the best exposure. 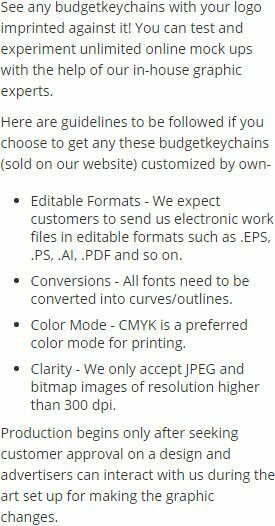 Order these custom printed keychains right away to get free artwork design and free online proofs services. Request a quote to know wholesale savings for these Promotional Logo Apple Shape Chrome Metal Key Holders. Product Size: 1 1/2 " x 4 "